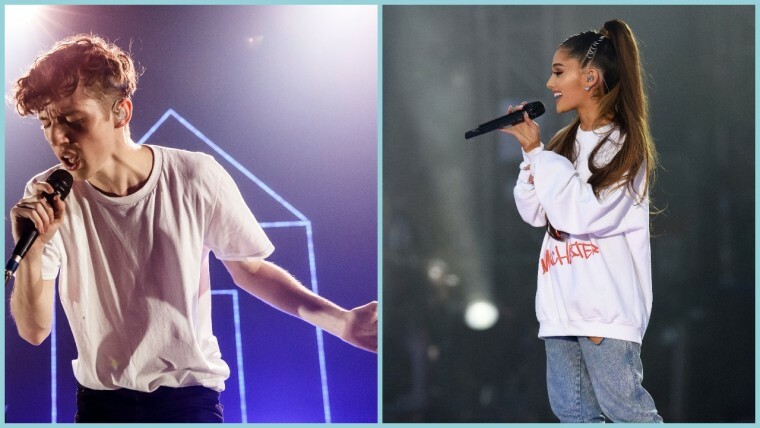 Troye Sivan confirmed on Friday that he has a song with Ariana Grande in the works. After rumors had swirled that the pop stars might collaborate, he tweeted early this morning that at least one song exists between them. "Yes!!! The rumours are trumours!!" he wrote. "@arianagrande is my pop queen and i can’t wait for you guys to hear our song🌹❤️💓"
Ariana Grande has been fairly quiet since an attack at her Manchester concert in May killed more than twenty people in the audience, devoting her public appearances to charity benefits for the victims. She also joined Pharrell, Alabama Shakes's Brittany Howard, and many more in a concert designed to raise the spirit of unity in Charlottesville, Virginia following the town's white nationalist rally in October. This collaboration, presumably a track on Troye Sivan's upcoming album, will be her first original release since the attack.